Remember Me. 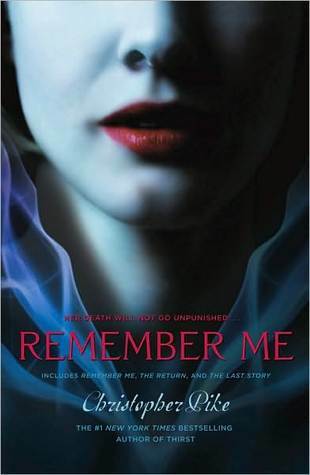 Remember Me is a book series written سے طرف کی Christopher Pike. Who is one of the best-selling author's of young adult novels. The series is all about a girl who died, Shari Cooper, and how she moves on.. Wallpaper and background images in the کتابیں to Read club tagged: books book. Remember Me is a book series written سے طرف کی Christopher Pike. Who is one of the best-selling author's of young adult novels. The series is all about a girl who died, Shari Cooper, and how she moves on. This کتابیں to Read photo might contain پورٹریٹ, آرچر, closeup, تصویر, and ہیڈشوٹ.